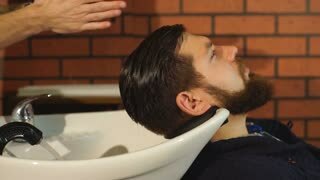 Removing shampoo from hair with shower in slow motion. 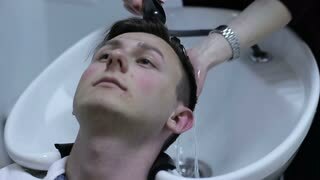 Attractive male under a shower put shampoo on head and wash it in slow motion. Hand of woman washing hair. Hair and water close up. 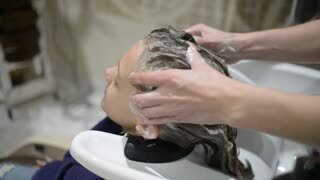 Hands washing hair with shampoo. Hair of barber shop customer. Professional shampoo brands. Hands of barber washing hair. Shampoo and water.